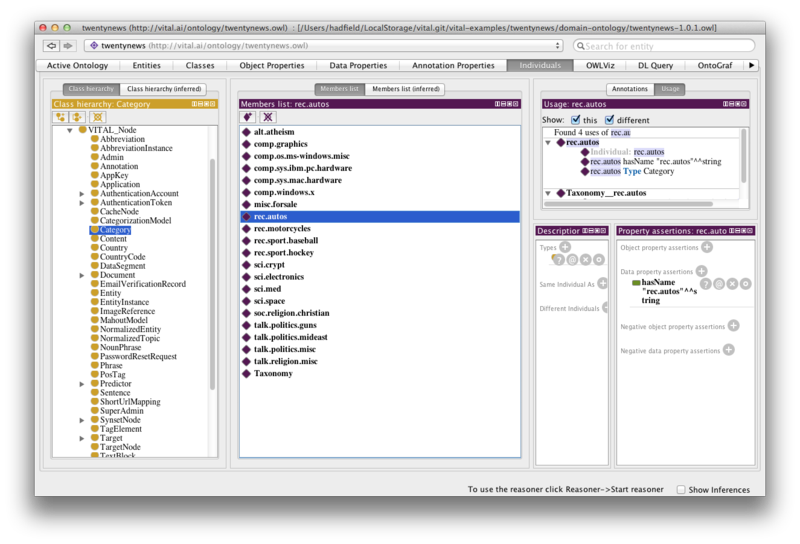 To categorize data, we need to define the categories and add them into our data model. We can use a simple text file and helper application to do this. 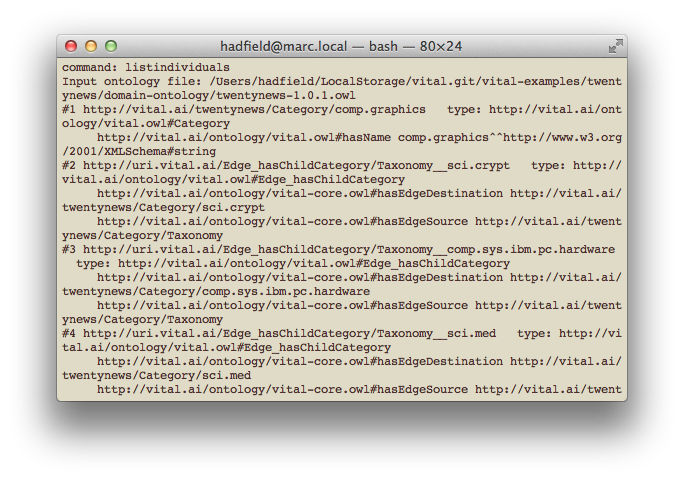 The vitaltaxonomy command creates an OWL file that contains the list of categories. 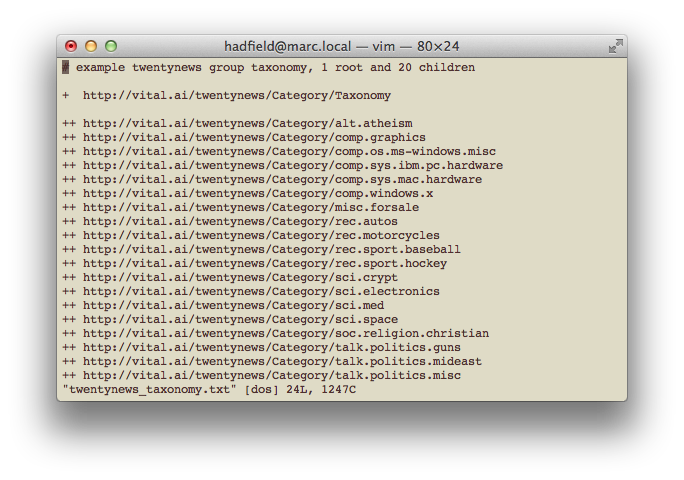 Now our categories are added into our data model. We can check it by listing them.